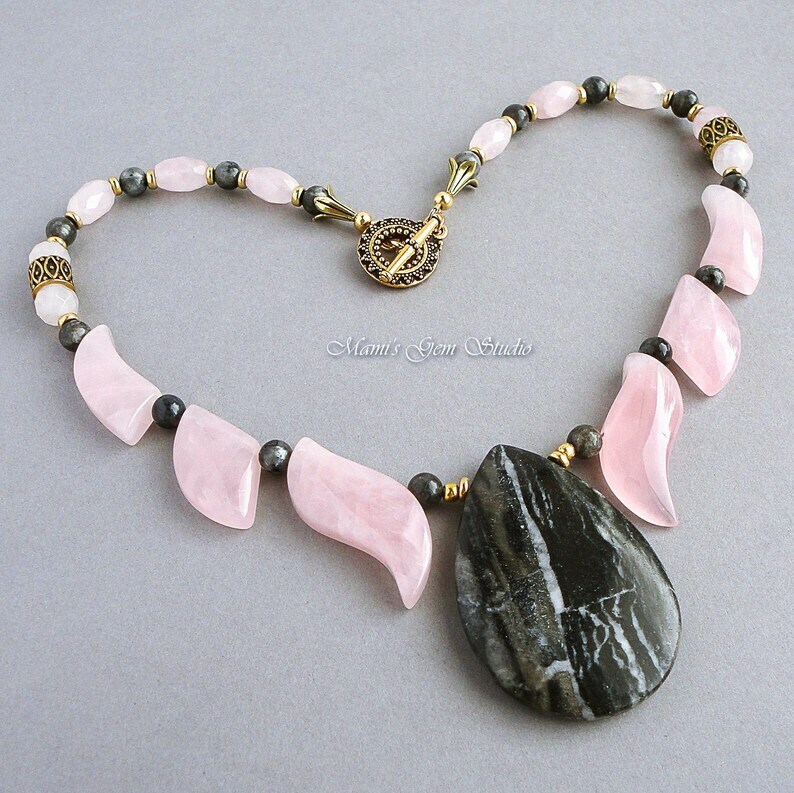 This eye-catching gemstone necklace features natural Rose Quartz unique fan cut and faceted barrel beads in a translucent soft pink, Blue Labradorite small beads with beautiful sheens on a dark gray base, and an unique Zebra Jasper flat drop pendant. I embellished this necklace with solid brass spacers and completed with a TierraCast brand (made-in-USA) detailed toggle clasp in antiqued gold finish pewter. Lead-safe. Focal stone pendant size: approx. 2" x 1-1/4"